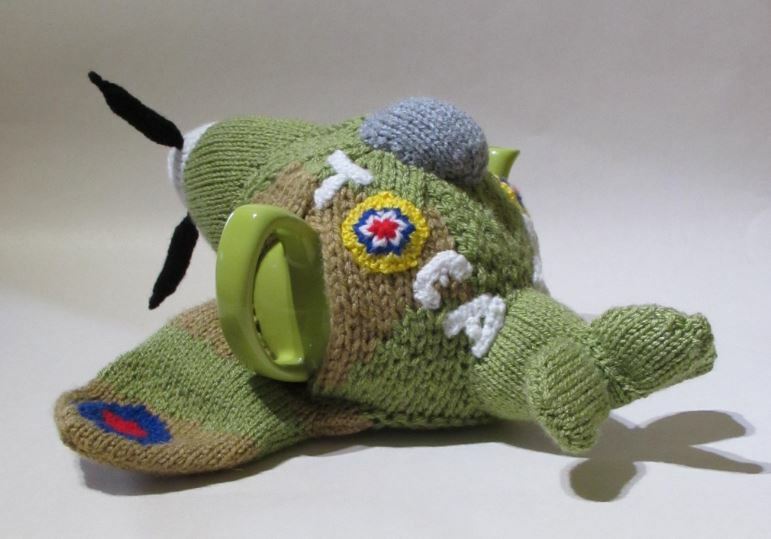 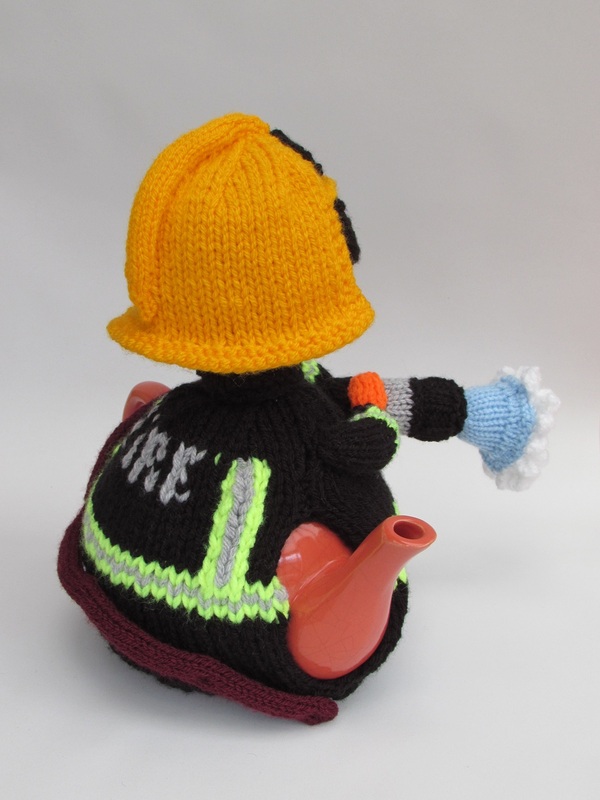 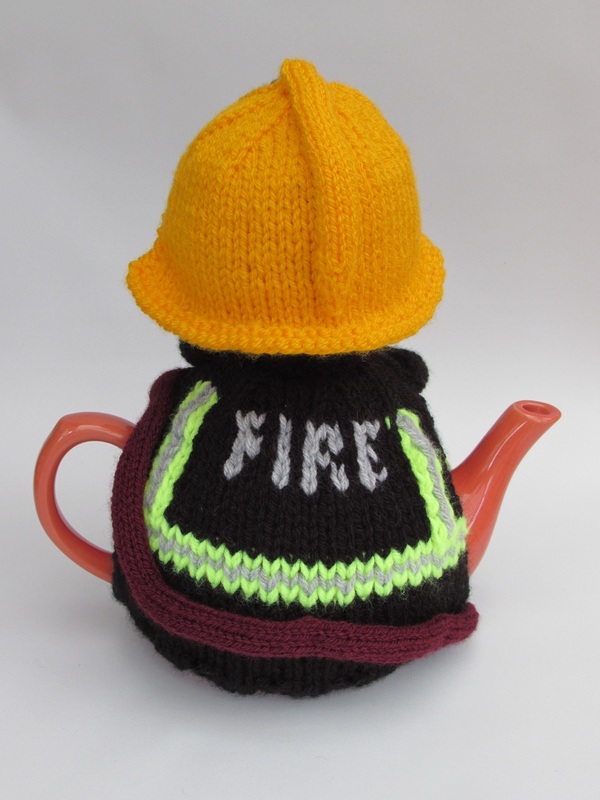 The firefighter tea cosy knitting is a fun and unique tea cosy of a firefighter in action with water jetting out of his hosepipe. 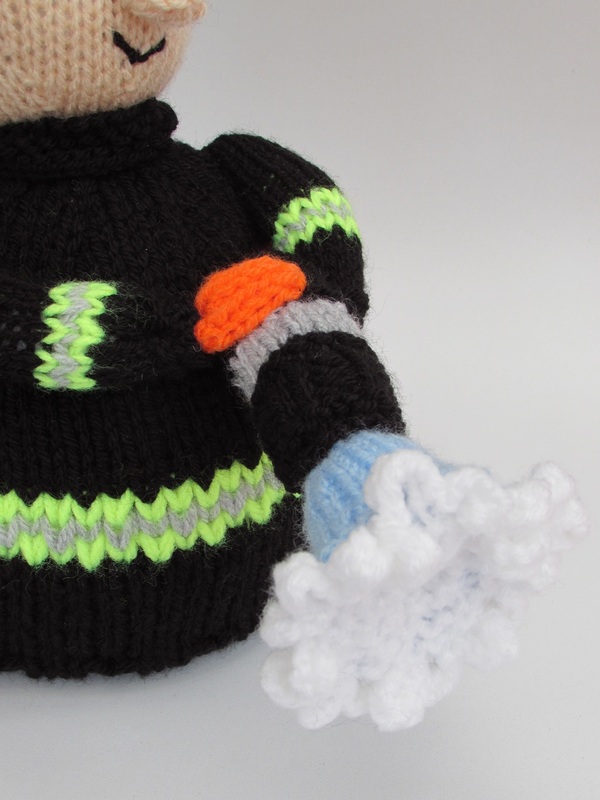 His uniform is knitted with neon yarn stripes to give the reflector look. 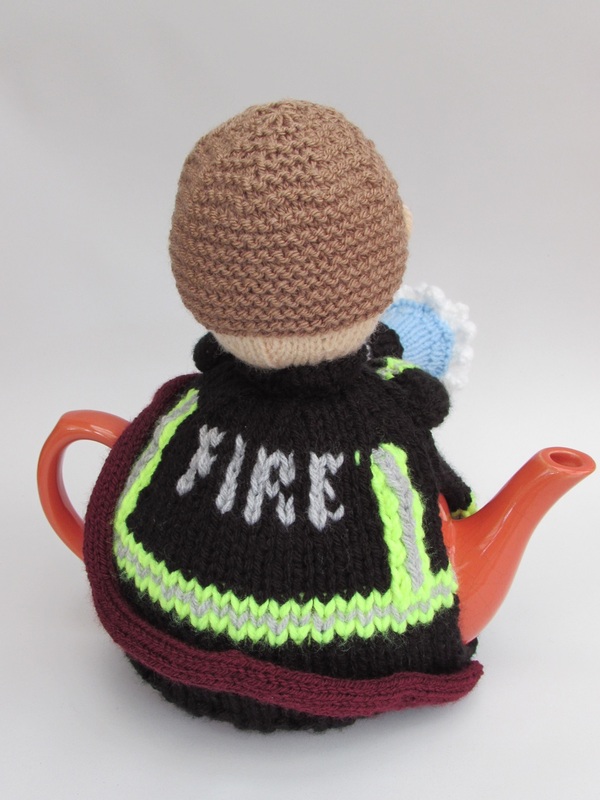 He has 'FIRE' written on his back, and his wearing bright orange gloves. 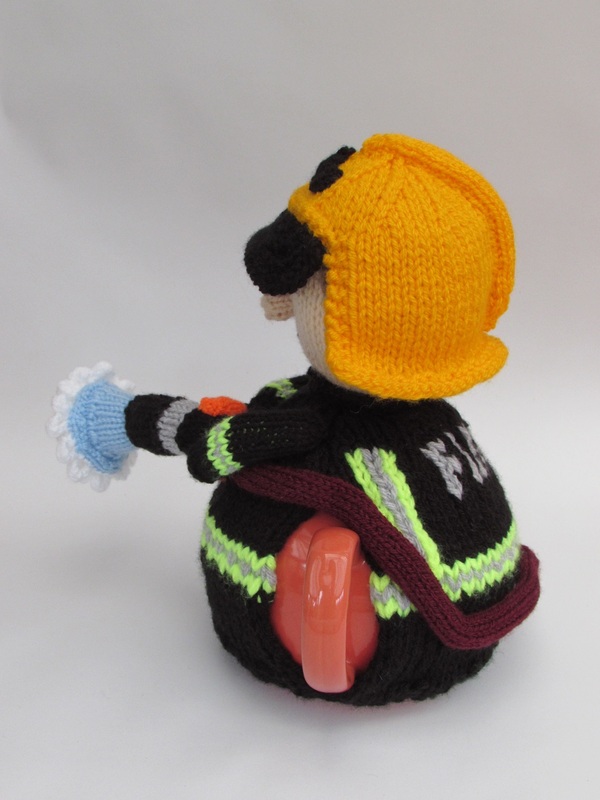 His helmet is removable to reveal his short and neat hair style. 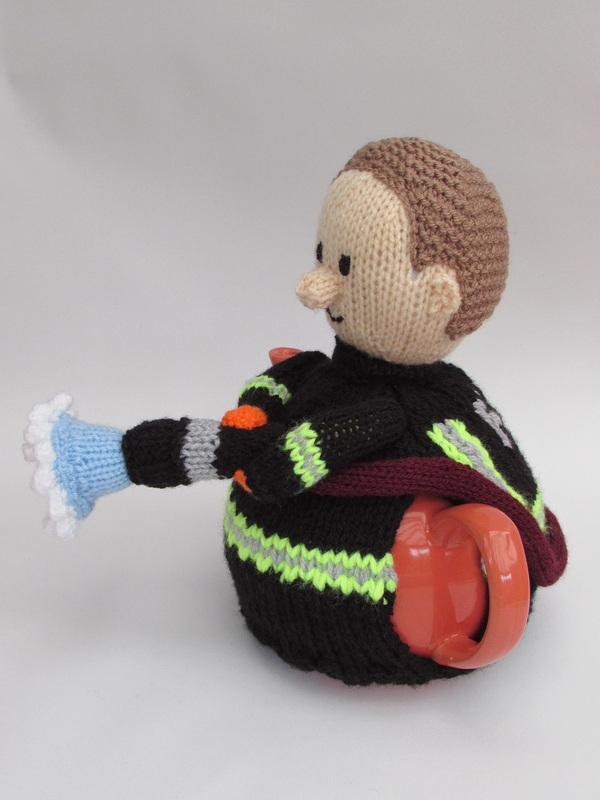 The hosepipe its self snakes around the back of the firefighter and ends under one of the spout or handle openings. 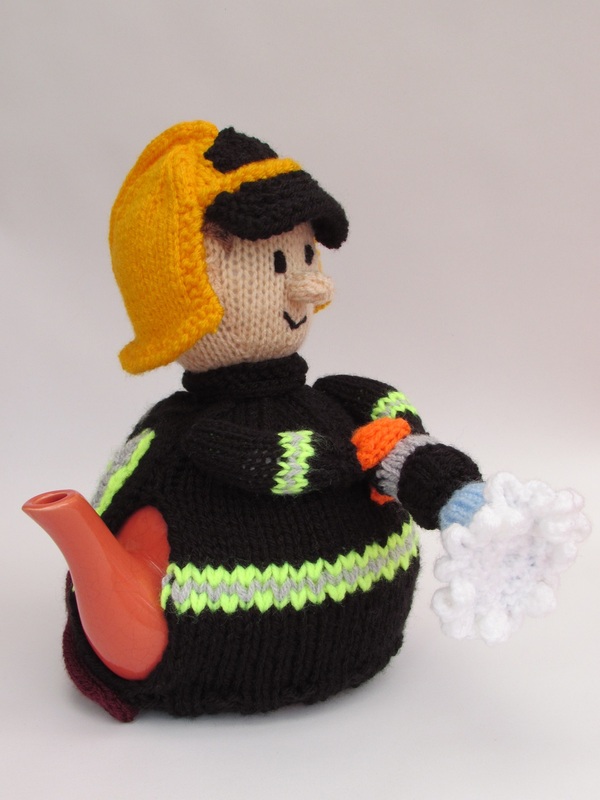 The water is jetting out of the nozzle, and foaming. 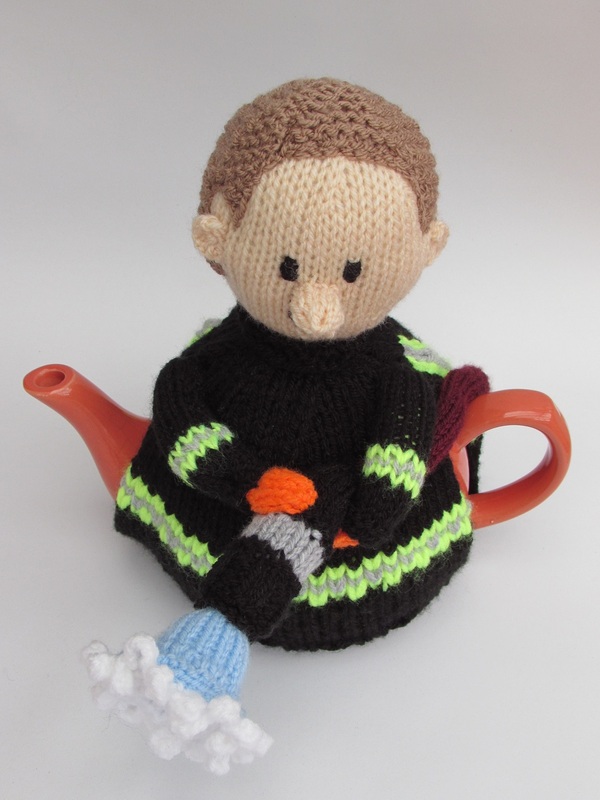 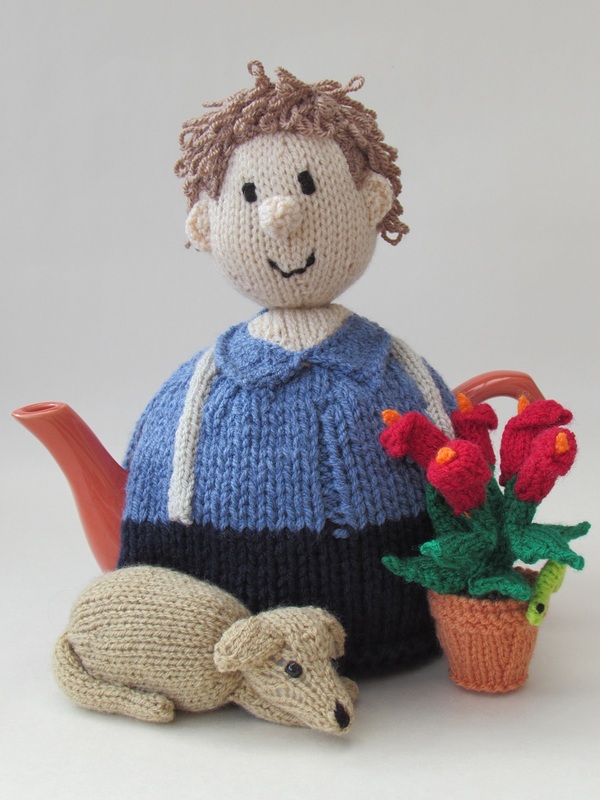 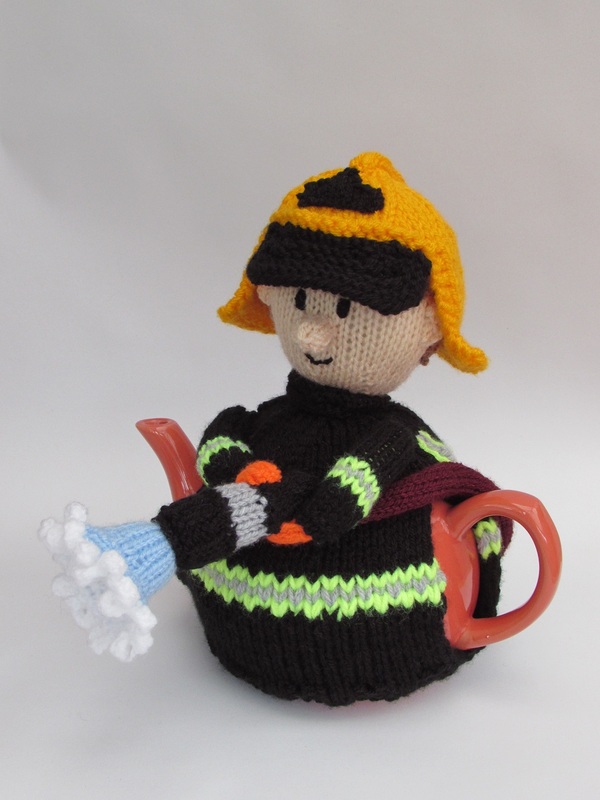 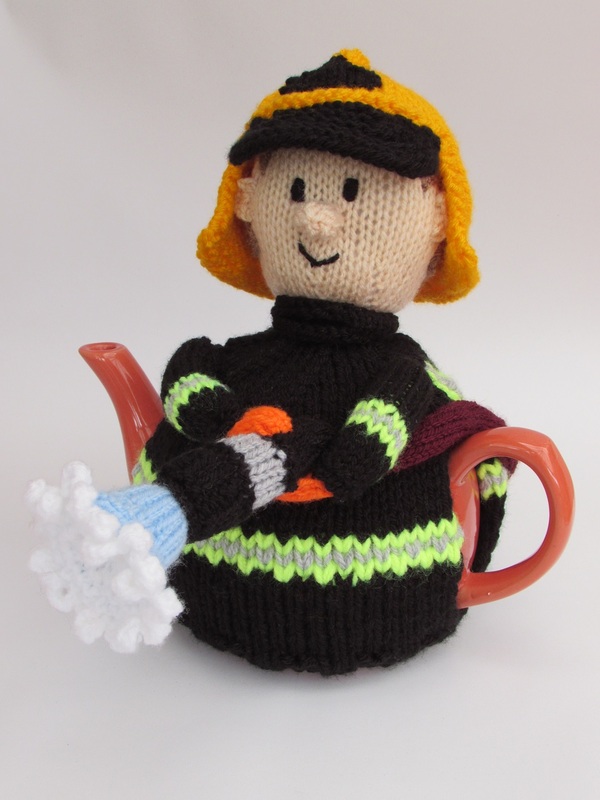 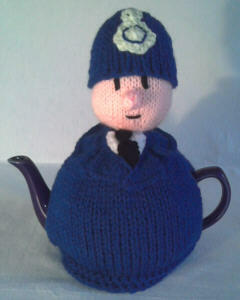 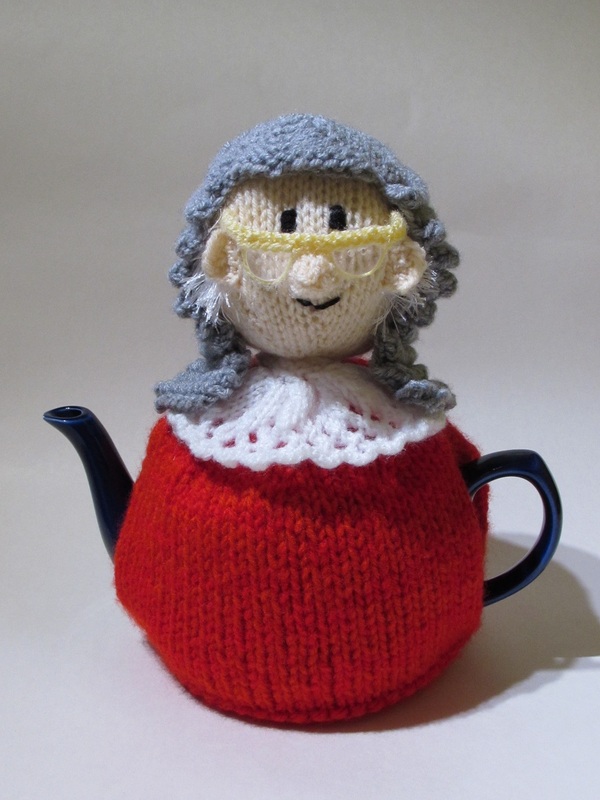 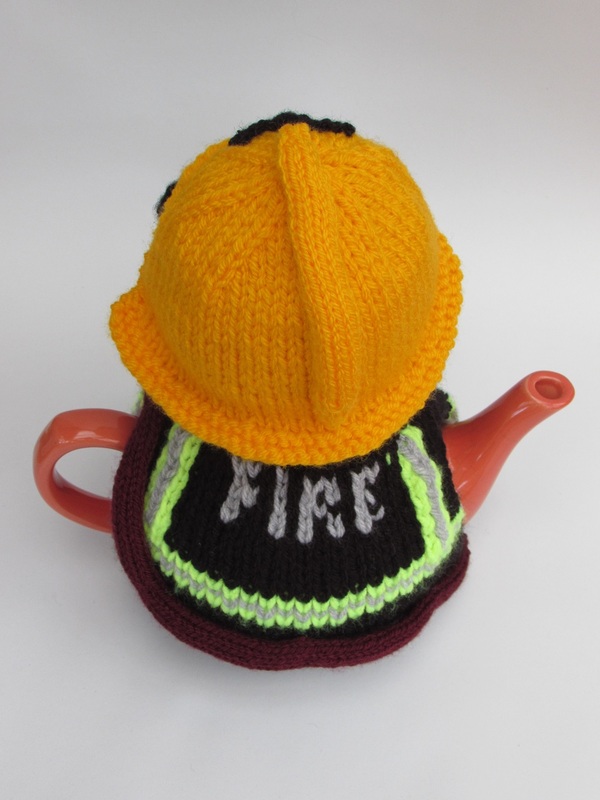 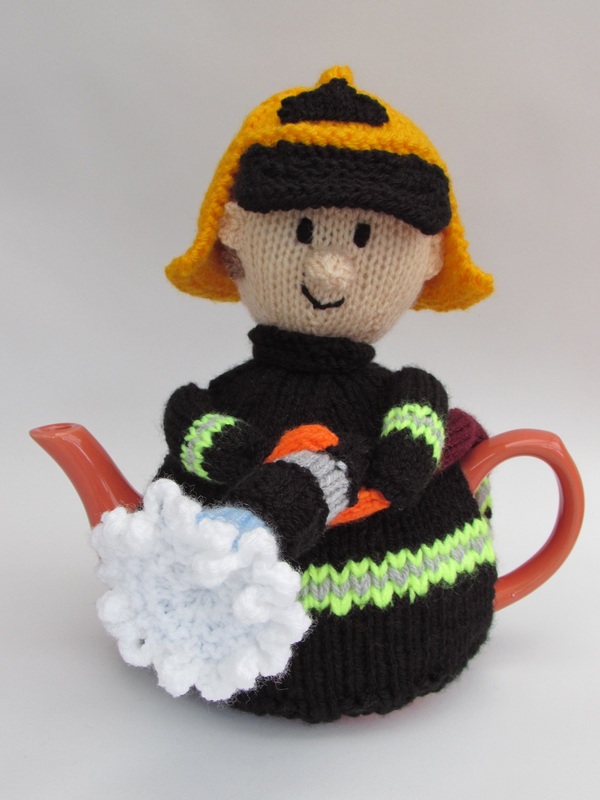 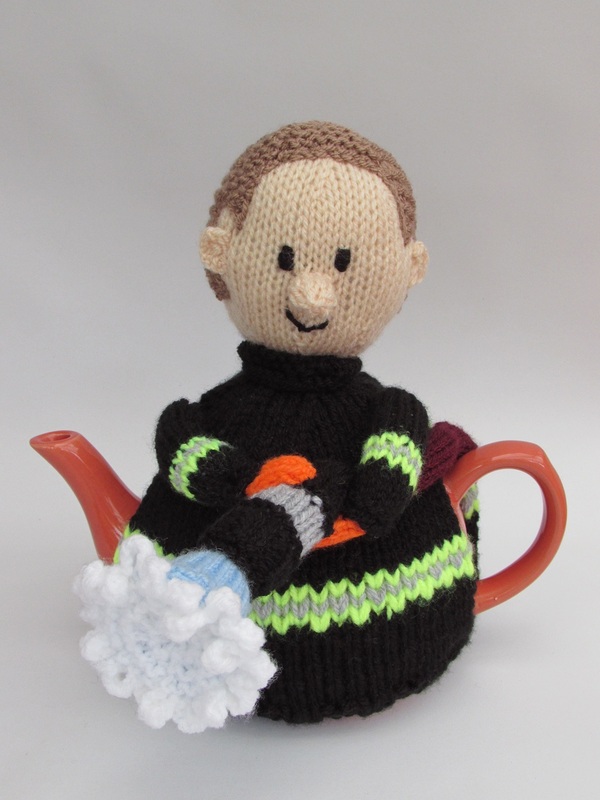 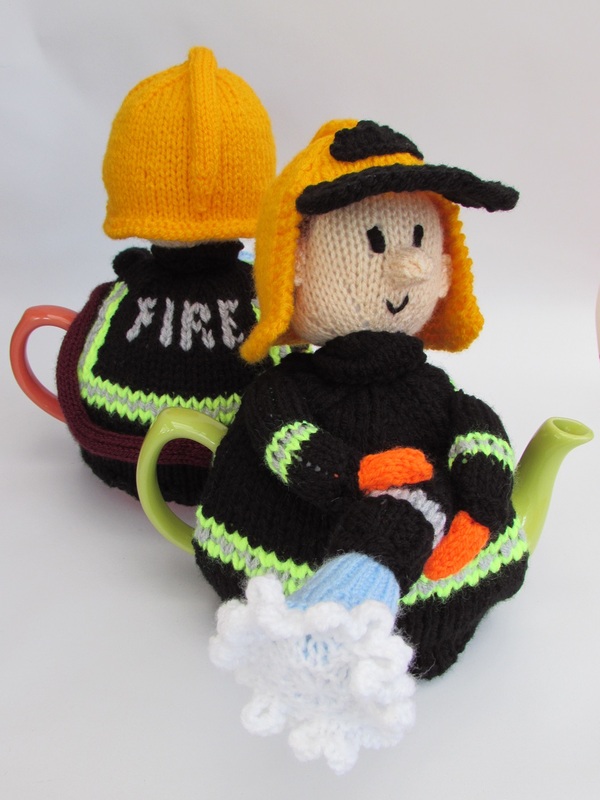 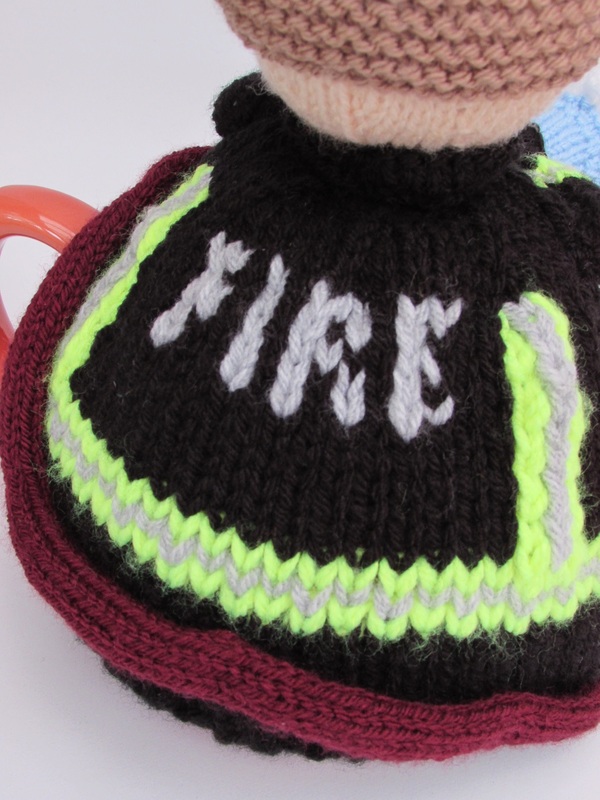 He's a lot of fun to make and looks fantastic, who wouldn't want a fireman visiting every tea time? 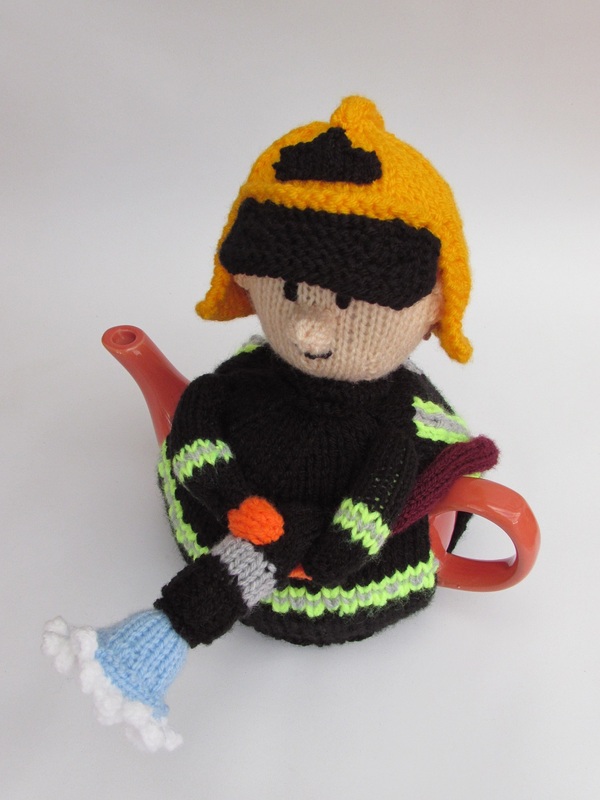 A heroic firefighter for your teapot, because their used to dealing with hot stuff.